TKW 920 kg. Observed fall: no. Found 1822 in the Atacama Desert of Chile. Here are three photos of a nice Imilac individual (199 g) that Marc Jost recently found in the Atacama desert! Picture 1: the sightly cleaned 199 g piece. Picture 2: the second one on the left is the 199 g piece. Picture 3: the place, where it was recently found by Marc Jost. 4/25/2019 7:31:06 AM Well preserved is the thought I had Graham. And what a great find for Marc!! 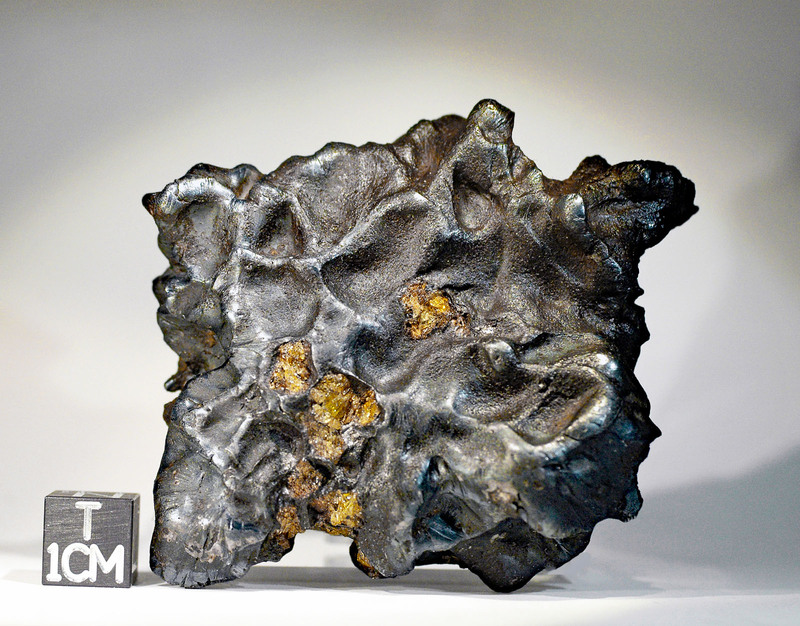 !...and of course thanks for sharing this recent meteorite news Peter. 4/25/2019 4:05:29 AM What a beautiful piece of Imilac indeed. The perfect addition to the crystal slices and "skeletonns" we know. Perhaps I personally would have tend to let it completely uncleaned, or only "trousers pocket - cleaned". On the other hand: all the fine structures - guess I notice flowlines at the edges - are clearer to be seen in that condition. In any case: a wonderful individual of Imilac. Congratulation, Marc, Peter. 4/25/2019 3:42:59 AM Far more FeNi than olivine - very interesting. Beautiful specimen. Congrats, Marc! Thanks Peter! 4/25/2019 3:17:43 AM That's just fabulous. Looks like it fell yesterday. I'm amazed. What an incredible moment finding that preserved for all those years. 4/25/2019 1:41:07 AM Very nice specimen, Marc. Thanks for sharing.